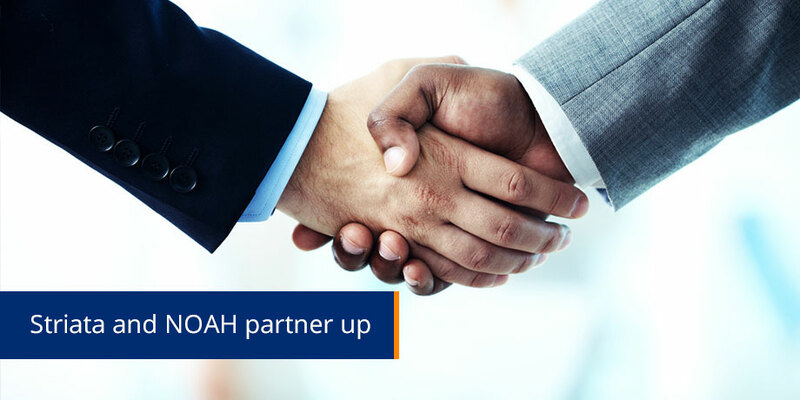 Electronic messaging specialist, Striata, has become an official partner of NOAH, an organisation focused on empowering communities in the struggle against the effects of the AIDS pandemic. NOAH, which stands for Nurturing Orphans of Aids for Humanity, began in 2000 with the vision of assisting ordinary South Africans to provide care for the orphans and vulnerable children in their communities. The organisation currently operates in 50 communities with the participation of 755 volunteers. NOAH’ s primary function is community mobilisation, through the establishment of “Arks” – a community and volunteer network that is geared up to provide care and support for orphaned and vulnerable children. There are currently 499 Ark committee members and volunteers, who have been taught skills, such as leadership and project management, bereavement counselling, parenting skills, nutrition and hygiene. Should a specific project require assistance, NOAH will assist the project to become eligible for donor funding and facilitate necessary support. “Striata is able to assist NOAH in reaching hundreds of potential supporters through email. It is our firm belief that South Africans are eager to join the fight against AIDS and its devastating effect on families, specifically children. We are hoping to assist NOAH in tapping into this social consciousness, by communicating NOAH’s message to a broader audience,” concludes Wright. Other supporters of NOAH include Deutsche Bank, Johannesburg Securities Exchange, PPC Cement, Coca Cola, Anglo American, Transnet, Finlay & Associates, Otis, Telkom, ISCOR, Zenprop, Kunene Chairman’s Trust, The Rockerfeller Foundation, Old Mutual, ABI, Vodacom, and fellow AIDS support group, Starfish.